- Set the environment (0 for accelerometer, and 1 for gyroscope) after using lookupRoute to get the Route for each. 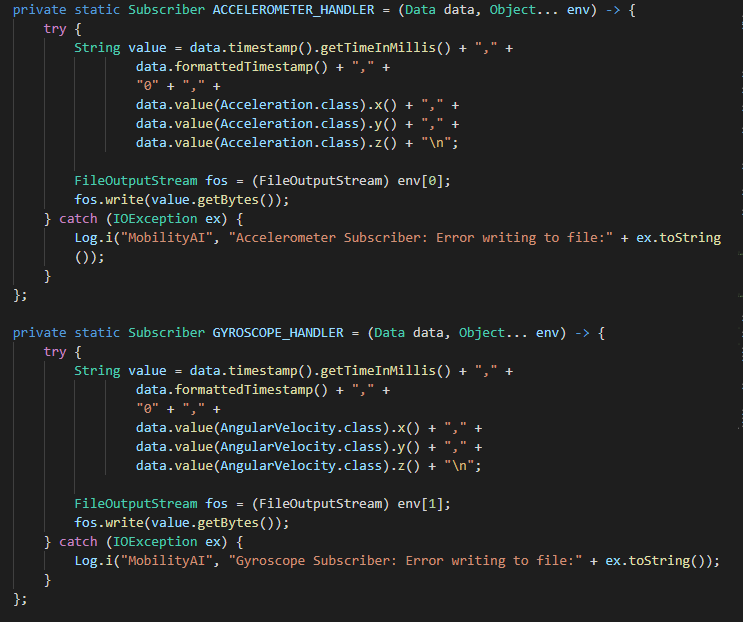 In the end, two files, but only the accelerometer file contains the information that was logged. 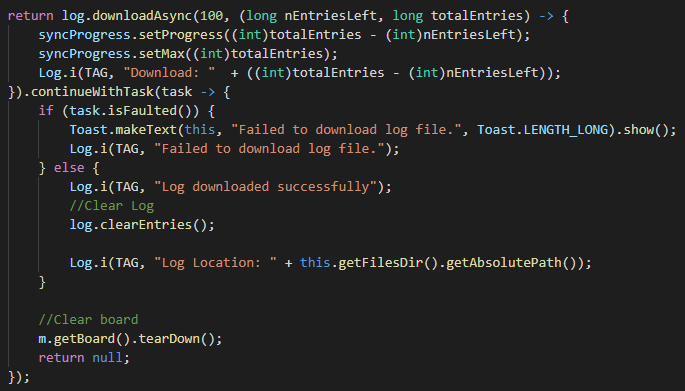 Is there anything I'm doing wrong here to log from both at the same time? Thanks for your help, please let me know if you need any more information. Why are you using index 1 for the gyro environment? How are you setting the environment for each subscriber? Should I not be using two different environment variables for each different file? 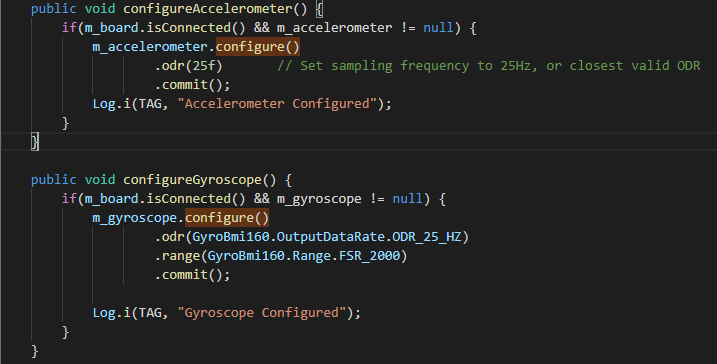 If so, could you please tell me what I should have instead in my code to log both the gyroscope and accelerometer at the same time? Each subscriber has its own environment. What is accelRoute assigned to? Is it intentional that you are using it for both acc and gyro routes?